Intro to Movement (Level 1 or Level 2) - Salt Pump Climbing Co. This 90 minute class is designed to teach the basics of climbing movement and technique and offered at two different skill levels. The Level 1 class is for true novices who are still discovering the basics of footwork and hand positions. The Level 2 class incorporates more advanced body positions and can help address any bad habits that may have started. Proper warming up, footwork, route reading, balance, and hand positions are just some of the topics we focus on. 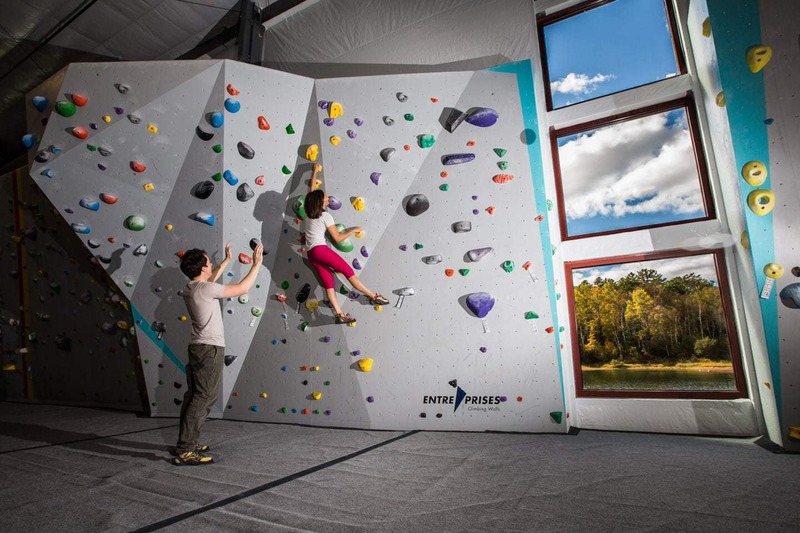 Combined with our Intro to Climbing Class, these are the perfect way for those new to the sport to gain the tools to become a successful and self-sufficient climber. SCHEDULE: Every other Wednesday 6-7:30pm. Level 1 and Level 2 classes alternate each session. PRICE: $40 includes instruction, admission on class day, and rental gear on class day. PREREQUISITE: Must be 12 years or older.